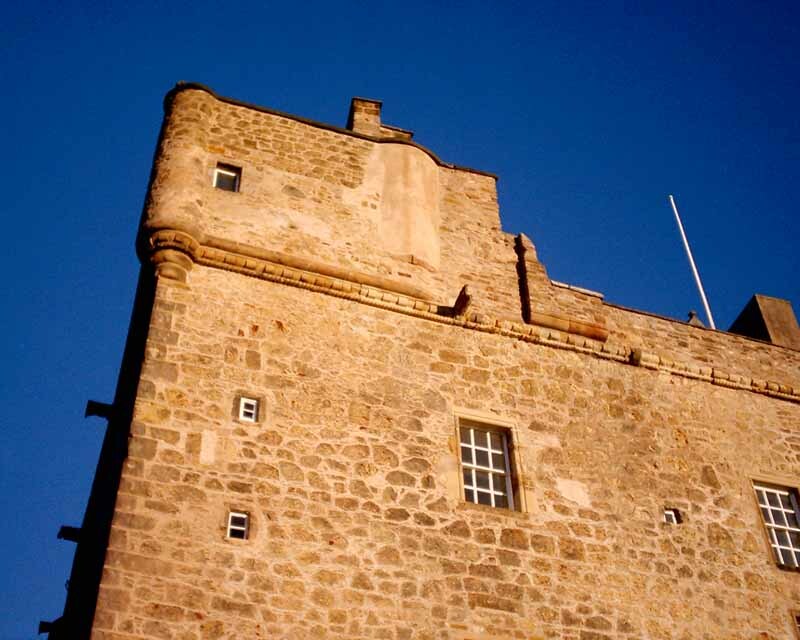 History: 13th century castle rebuilt in the 16th century as a T-plan Scottish Towerhouse. Luffness Castle is located behind mature trees off the Aberlady to Gullane road, just east of Aberlady village, Luffness Castle (also known as Luffness House). Remains include a moat, earthworks, stair-tower, gun-loops, dovecote and turrets. The building was reputedly built for the Earls of Dunbar and March. At one point the House became a monastery. The Hope family gained Luffness in the 18th century. After the Reformation Sir Patrick Hepburn of Waughton acquired the property, and the Hepburn Earls of Bothwell gained possession in due time. Mary, Queen of Scots, visited Luffness in the company of her third husband, James Hepburn, 4th Earl of Bothwell. The house, which lies in a wooded estate not far from Aberlady Bay, is now a T-plan building, incorporating the 16th-century tower house. It was added to and altered in the Victorian and Edwardian periods. A moat, earthworks, a stair-tower, gun-loops, and a turret remain from earlier periods. The walled fruit garden was built by Prisoners of War of the Napoleonic Wars.